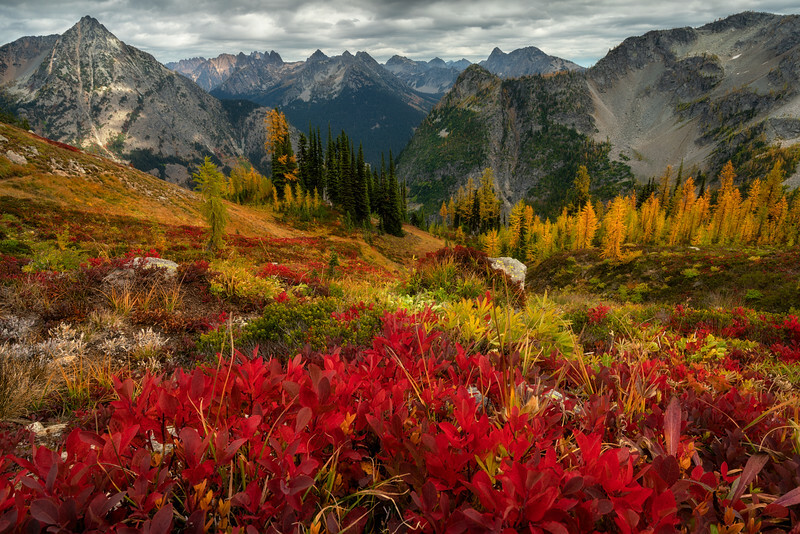 While hiking in Autumn in the North Cascades one wants to take a rest every few minutes--not because one is tired, but rather to take in the incredible views that seem to change with every glance and turn. Superb landscape, beautiful comp and color! Incredible landscape - fabulous capture of this beauty! Magnificent view. The gradient of color helps funnel the view toward the distant peaks.